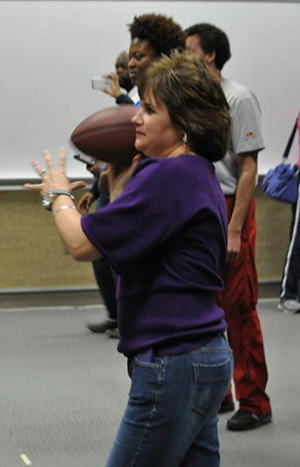 North Carolina PTA has teamed up with NC Action for Healthy Kids to bring Team Up for Healthy Learning, a series of collaborative events, to local communities across the state. Join us to learn how using a coordinated school health program can support wellness efforts in YOUR school. 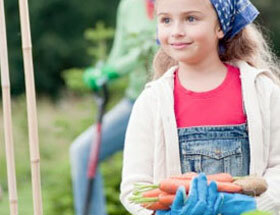 Play Time + Healthy Eating = Grant Opportunities! 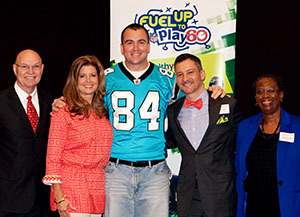 Participants will hear the latest about grant opportunities through Fuel Up to Play 60, a partnership between the NFL and the National Dairy Council. Call Cooperative Extension: 252-358-7822 or register online. Dress comfortably and come prepared to move. You’ll have the chance to earn fun door prizes along the way! National PTA today announced a new Family Reading Experience program to be hosted by local PTAs in cities across the United States. Amazon Kindle will be the exclusive sponsor. Throughout 2013, National PTA and Kindle will work together to encourage family involvement with their children’s reading. As the “Official E-reader of the National PTA,” Amazon Kindle will donate Kindles for National PTA to distribute to PTAs in low-income or at-risk schools. The PTA Family Reading Experience activities focus on improving the reading skills of children between kindergarten and fifth grade. The program is designed to be easy for PTAs to implement events within their schools and to help teach strategies to parents and other adults for participating in their children’s reading process, with the goals of improving their children’s reading comprehension and motivation. The program brings together phonological awareness, phonics, fluency, comprehension and vocabulary, and includes activities with both physical books and e-books. National PTA developed the curriculum in consultation with family engagement and literacy experts. National PTA has piloted the PTA Family Reading Experience in ten schools in Baltimore, MD and Albuquerque, NM and received positive feedback. National PTA will make the curriculum available for PTAs nationwide starting in March—National Reading Month. PTA parents interested in bringing the PTA Family Reading Experience, Powered by Kindle, to their schools can learn more at PTA.org/familyreading. PTA membership is required to access the full set of program resources. Read the National PTA News Release. 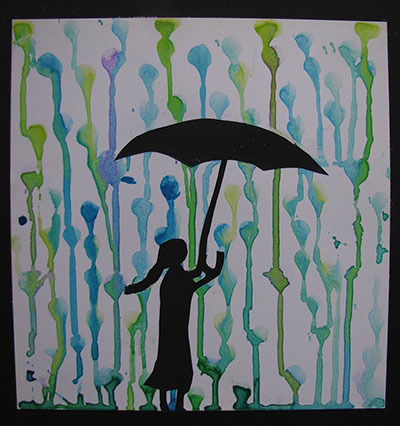 The North Carolina PTA applauds students and PTA families across the state for participating in PTA Reflections, a national arts recognition program that encourages students to explore their talents and express themselves. District winners have been selected for 2012-2013. View a full list of category placements for dance, film, literature, music, photography and visual arts. District winners move on to the state-level competition. The Charlotte Bobcats are offering discount tickets for North Carolina PTA families and friends, and a portion of the ticket sales will also benefit NCPTA. Bring your family out to watch Kemba Walker and the Bobcats as they take on Monta Ellis and the Milwaukee Bucks. Some extra fun has been planned for PTA members. Arrive early and watch the pregame shootaround from our VIP seats when you purchase from the NCPTA link below! Doors open at 6 p.m.
A portion of each ticket sold through the link above will benefit NCPTA. North Carolina teachers can apply for agricultural outreach grants from the North Carolina Farm Bureau through “Ag in the Classroom… Going Local.” Grants up to $500 are available to help teachers provide K-12 students with valuable, real-world education and experiences about the agricultural industry, while adhering to Common Core & Essential Standards. Ag in the Classroom (AITC) is an educational program, sponsored by the North Carolina Farm Bureau, that is dedicated to fostering a better understanding of the importance of agriculture in North Carolina. Deadline for submission is April 15, 2013. For more information and application information, visit www.ncagintheclassroom.com. 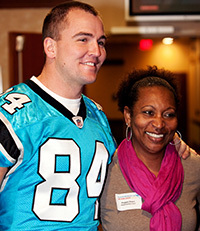 Teams of parents, teachers, school administrators and medical experts huddled together February 9 at the NCSU McKimmon Center in Raleigh for an action-packed day at Team Up for Healthy Learning – NCPTA Emerging Leaders Conference, which kicked off with a surprise NFL player appearance! 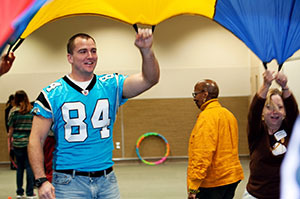 Ben Hartsock, father of two and tight end for the Carolina Panthers, encouraged a room full of parents and teachers to help children understand the healthy choices they need to make in life. He emphasized letting them use their brain power to come up with their own ideas. Throughout the day, there were opportunities to learn about various healthy resources in North Carolina, and the Fuel Up to Play 60 program was presented as a resource to help communities jump start and sustain physical activity and healthy nutrition improvements. Approximately 140 participants signed up to get in on the fun at the conference, which was coordinated with collaborative support from NCPTA, NC Action for Healthy Kids and the Southeast United Dairy Industry Association. School communities from at least 19 counties were represented at the event. Workshops and trainings focused on equipping parents, educators and community leaders with ideas and tools to work together to improve school wellness environments. Participants could also choose to attend finance and grant writing workshops. Event leaders plan to follow up with participants in approximately 30 days to see how they are progressing with the goals they set during the conference. When possible, NCPTA and NC Action for Healthy Kids will help with resource connections to assist event participants as they pursue their goals. “If they need help or want to bounce around some ideas, we encourage them to just ask,” said Marianne Weant, coordinator for the NCPTA Just ASK program. Team Up for Healthy Learning is a series of collaborative events, coordinated by NCPTA and NC Action for Healthy Kids, in local communities across the state. The next event in the series is planned for March 14, 2013 in Ahoskie. 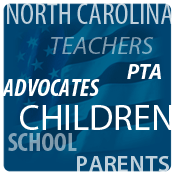 Check upcoming events for a full list of other opportunities offered by NCPTA. More photos are posted in an album on the North Carolina PTA Facebook page. Join us for a brief webinar on Feb. 22, 2013 at 1 PM EST. Ashley Perkinson, North Carolina PTA lobbyist, will share news from the North Carolina General Assembly’s long session and also give tips on effective ways to advocate. February 11-15, 2013, has been proclaimed “School Bus Driver Appreciation Week” by North Carolina Governor Pat McCrory. School communities and citizens are urged to support the American School Bus Council’s Love the Bus program. According to the proclamation, more than 13,000 school buses carry more than 790,000 students to and from school every day across North Carolina. State Superintendent June Atkinson will ride the bus to Ellenboro Elementary School (813 Piney Mountain Church Road, Ellenboro) with students on February 14, 2013, and take part in a morning program to thank school bus drivers. Learn about NC Bus Safety. View 2013 NC Love the Bus information and events. 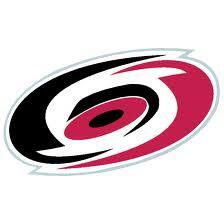 The North Carolina PTA has teamed up again with the Carolina Hurricanes to bring you a special opportunity! Purchase deeply discounted tickets while also helping NCPTA support family involvement programs. Hurry! Deadline for discounted tickets is Monday, Feb. 25. In our workplaces and in technology, we all adapt to change on a regular basis. In education, this means that we are constantly looking ahead to make sure that what we teach and how we teach are aligned to help students prepare and thrive. In your children’s schools this year, teachers and principals have been making some big changes to help us make sure we are preparing students with the skills they will need when they graduate. That’s why our curriculum is different this year. The new Common Core state standards and revised Essential Standards provide more in-depth learning and set new expectations for achievement. At the end of the school year or end of semester, students are taking new tests that match up to the new curriculum. And, next fall, a new school accountability model will be in place to give you up-to-date information about how your child’s school is doing. All of these changes are supported by North Carolina’s federal Race to the Top grant. Our goal is to remodel the way we educate our students and ensure that students are better prepared for college and the workplace. This is the essence of what we do. How are these resources helping? Thanks to these funds, North Carolina provided deep-level professional development for more than 2,800 teachers and leaders across the state during the last two summers, and we will do it again this summer. This professional development followed a train-the-trainer model, so it will continue across districts and schools as principals and teacher-leaders craft meaningful professional development for their colleagues. Technology also plays a key role in our remodeling efforts. Imagine a technology tool that will allow teachers, parents and students to collaborate and have at their fingertips the tools they need. Home Base will make this possible. Home Base will include a new student information system – PowerSchool – to handle tasks such as scheduling, grades, transcripts and more. PowerSchool replaces the current NC WISE and will be in place by start of school in 2013. Also, an instructional improvement system is being developed to provide teachers with curriculum tools, lesson plans, assessment items, instructional resources and more. These materials will be evaluated beforehand so teachers will know they align with the curriculum in North Carolina. The instructional improvement side will be in place by the fall of 2014. Together, PowerSchool and the instructional improvement system comprise Home Base. Home Base will organize information to help teachers and parents pinpoint where students need help the most. Our goal is customized teaching and learning for students. Please visit the READY website, www.ncpublicschools.org/READY for more information and resources around our remodeling efforts. For specific information about Home Base, please visit www.ncpublicschools.org/homebase.